Wow these are VERY nice. I'm planning to make some tutorials soon :) I'll keep everyone updated on my twitter! Hey Thomas, Couldn't find an e-mail so I'll just ask here. Is it okay if I use these assets for commercial purposes? I'm one guy trying to make indie games. Thanks! is there any reason i cant pay with paypal for this? hey! That's strange, contact me on Twitter or per mail & let's see the problem! It is or not royalty free? Because of "For commercial use, contact me first, thanks." I'm not going to buy. If I'm buying something I wan't to be free to do with it whatever I want and not to follow some conditions. Otherwise I'd buy this pack in blink of an eye. I'm currently living as a freelance pixel artist. That's thanks to that work I can pay my bills, eat food, etc. 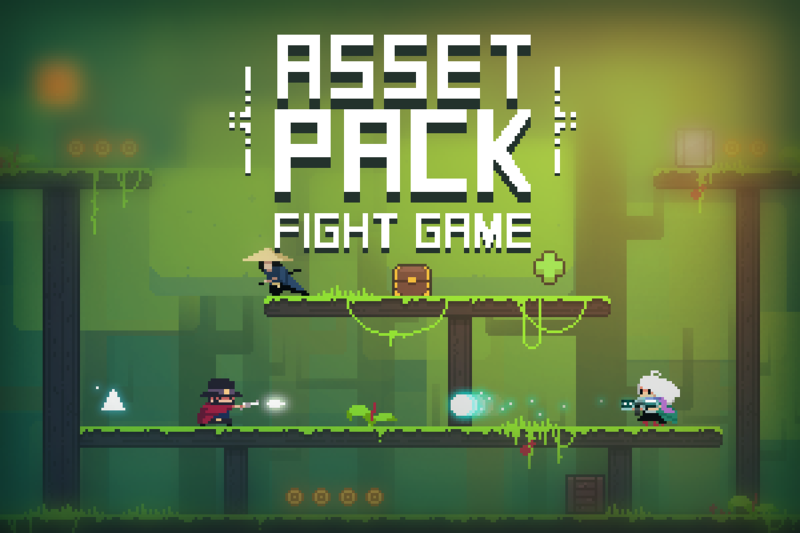 I make this asset pack for people who can't afford my freelance rates, that's why it is that cheap (if it were freelance work, it would be around 1000-2000$). But if studios or people who can afford my rates use it to make commercial project... Well that's not really cool for me. So that's why I ask people to contact me first if they want to use it for commercial use : I'm 100% ok with indie people & beginners using it to try to make game & money, etc. But yeah I first want to discuss with them and be sure we're cool about that. I just don't want to quit this job because of not cool people who don't want to pay artists the right prices if they can. Hope you understand. So do not hesitate to contact me if you're interested by using it for a commercial use, as I said I just want to discuss first. That's totally respectable thing but held behind curtains feels too shady. Although dunno if studios would browse packs on itch.io but I might be wrong. Looking at this package sparked grate idea for game and game mechanics but since I was thrown off by that sentence I created most needed sprites myself but I still might get it. Yeah I totally understand it can sound weird! About studios using my assets with no asking or else, it already happens to me (not just one time) so that's also why I'm kind of watchful about that. There is a lot of awesome people in the video game scene (indie or not) but yeah, like everywhere else, some people are not awesome at all..
you could write a license that states a maximum annual income to use it. ive been making games for 8 years now and i havent even hit £10k in a year yet. Please, read whole conversation, because guy had legit reason, only delivery wasn't the best. Wow such an awesome art pack!